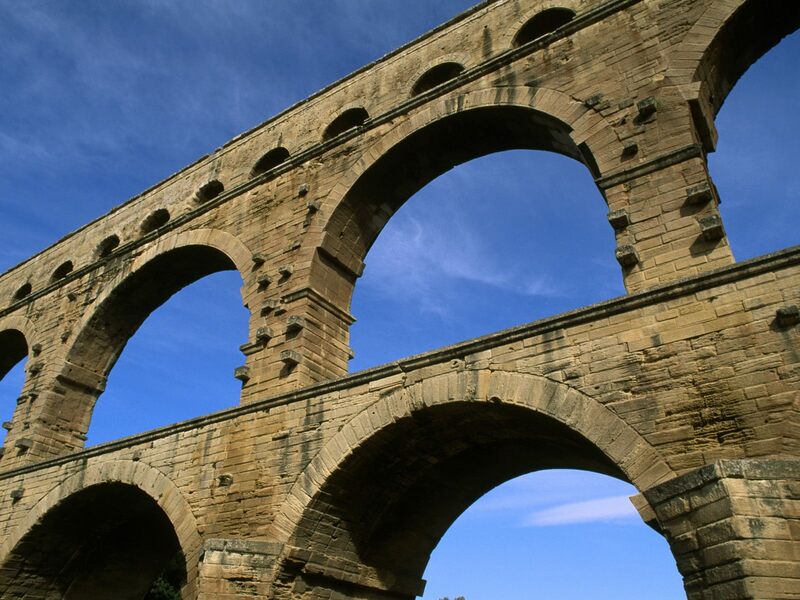 One incentive for wealthy Romans to finance construction of aqueducts was, of course, glory. One's name would go up on the wall somewhere, and down in history, too. However, there was more to aqueducts than just delivering water to cities for drinking, washing, cooking, and lavatory needs. For instance, hydraulic mining was all the rage in some places. One would run a spur from the existing aqueduct to indulge in a bit of ruina mortium, or hushing, to use water to bare up a gold or nickel vein. Perhaps a prospector looking for funds might approach me, offering a contract and promising a sizable cut. Or I could hire someone to do some research to see if there were any areas that had growth potential, and the one obstacle was the lack of water. Or, perhaps, the governor, or the Emperor himself, might send his agents to me, and I would promise, for a fee, to provide engineers, foremen, and slaves for an aqueduct project? In other words: were there wealthy people in the Empire not personally involved in aqueduct construction who could invest in it on the chance they might turn a profit? According to A Companion to the Archaeology of the Roman Republic, and a citation of antiquities scholar Ph. Leveau in particular, Roman aqueducts were mostly publicly funded, and although some may have had private funding, it was not for-profit. If you were a well-to-do ancient Roman funding the construction of an aqueduct, it would probably be called philanthropy. Yes, but this was a rare exception rather than a rule. The Roman aqueduct-bridge of Pont d'Ael (which not only allowed water to cross, but also people) was funded privately by Caius Avillius Caimus. He charged a toll for everyone who wanted to cross the bridge (so admittedly the profit did not come from the aqueduct bit, at least as far as I know). I visited the site some three year ago while it was in the middle of the reconstruction work and the archaeologist supervising the work was kind enough to show us around; she actually claimed that this was the only privately funded aqueduct known. There is additional sources, although I can't recall at the moment, about rich romans paying for their homes to be connected to the system so that they have running water in their homes. I believe aqueducts were generally public works (Defense and sanitation projects) local delivery to rich peoples homes could be a private endeavor as wealthy romans did pay a connection charge. Could freedmen join the army in ancient Rome?